Residents and business owners in west Billings near Oscar’s Park and Yellowstone River have been actively speaking against a construction project working its way through local government. The proposal would extend plans for a gravel mine on a roughly 117-acre property in the west end to an almost 40-acre plot of land. 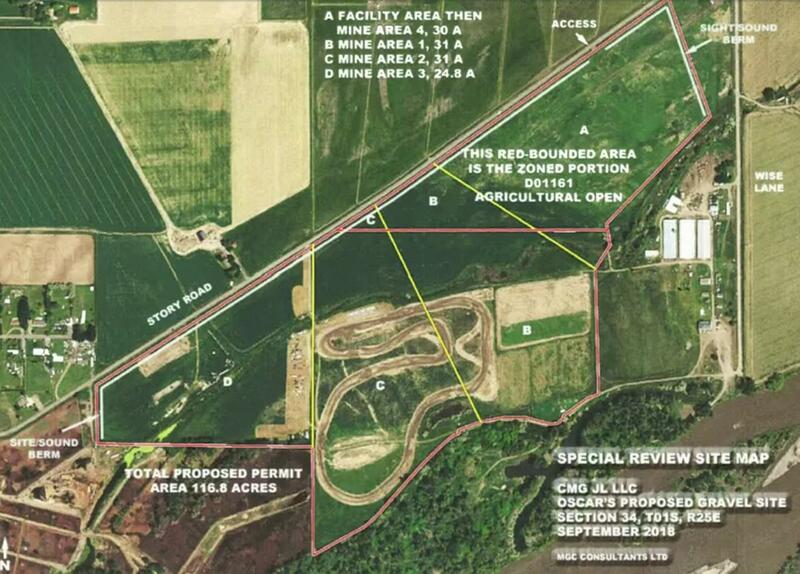 That section, while zoned agricultural, is eligible for development upon special review. A sound of dismay came from the audience at last week’s Yellowstone County Commissioners meeting when commissioners voted to approve the gravel pit. Community members have cited concern about noise disturbance, water contamination, and industrial vehicle traffic, among other things. However, if the construction company and their partners prove they can mitigate the most pressing issues and meet local and state regulations, it appears likely the gravel pit will go through. At last week’s meeting, Commissioner John Ostlund pointed out that the residents and business owners in the audience are on the line between rural and urban land. A consultant with the construction company that will mine on the property, FirstMark, spoke at the meeting. He said the State of Montana will need to approve the gravel pit before construction can go forward.